Healio brings you the highlights from SECO. Refer back to this page often for the latest news, perspectives and interviews with leading researchers and clinicians, and to review archives of past meetings. Set yourself up for success at SECO 2019—the premiere educational destination for optometric professionals, hosted in a new city—New Orleans. 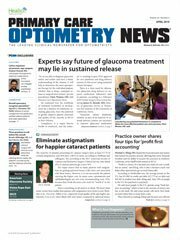 More than 6,000 optometry professionals from around the globe gather at SECO to access nearly 400 hours of education sessions discussing the latest innovations, discover cutting-edge lab techniques and get information on what matters most to their practices.